CMS is an online content management system for managing your website content dynamically with ease offering flexibility, accessibility and increasing efficiency with data security and reliability. Our experienced team of php, asp.net and open source developers use to add new features in the CMS as per the clients custom requirements, enabling the CMS to be fully robust and easy to manage. We offers its extensive experience to build interactive & efficient web CMS development solutions for it's global client base. 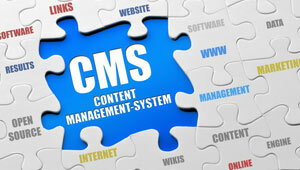 We offer custom cms programming & development solutions according to customized needs of clients. We are expertise on Contend Management System developmnet.. Contact us for FREE Consultation.